Shopping for Harley Quinn Bottle Openers? 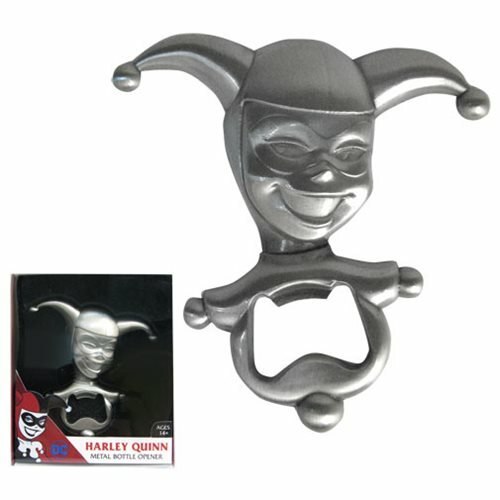 The Harley Quinn Metal Bottle Opener is at your service! Harley wears her classic jester costume as she pops open a bottle of your favorite beverage. This opener features Harley Quinn in her classic animated look and measures approximately 3 3/4-inches tall x 3 1/2-inches wide x 1/2-inch deep. Comes in window box packaging. Ages 14 and up.